A Gentleman's Luxuries: The Dandy Lab. Will this be the store of the future? The Dandy Lab. Will this be the store of the future? There's a Kickstarter campaign which has been going for a little while now which I think might be of interest to many of the readers of this blog. It's a cooperative project between several young British designers which is called The Dandy Lab. The Dandy Lab is described as being the store of the future, so it might be worth having a look at. I will, at least, follow the development of this project. One of the founders of this project is Peter Jeun Ho Tsang of Coeur Menswear which I've previously covered on this blog. Another brand which will be part of The Dandy Lab is Holdall & Co which I've also written about in these previous posts. I will not say more about this project, but will rather refer you to the text below the photo which is a description of The Dandy Lab project prepared by The Dandy Lab team. Photo: Taken from The Dandy Lab Kickstarter campaign page. Retail is being reinvented by the unstoppable rise of the internet. 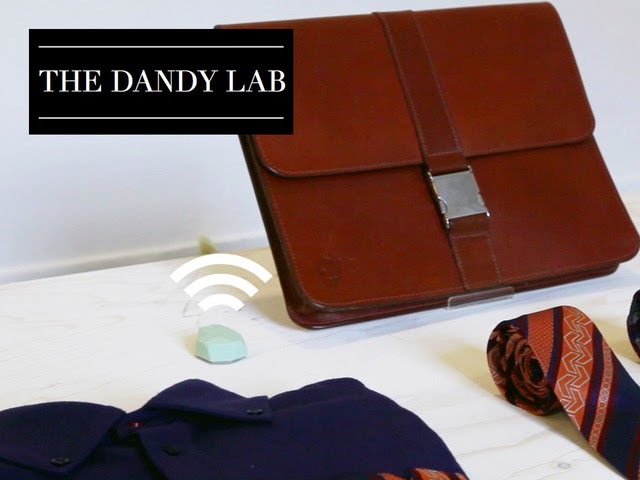 The Dandy Lab is the first-ever interactive lifestyle emporium where fashion collides with technology to tailor the shopping experience around a customer's personal interests. The pop up concept store will launch later this year and open for six- months, following a Kickstarter campaign offering the style-conscious man a unique chance to be involved in the project and receive exclusive rewards. On 29 September, The Dandy Lab launches their Kickstarter campaign to transform their physical retail space into a store of the future. The project is revolutionising retailing with hyper-personalised, immersive shopping experiences, so that customers can discover, learn, shop and share in an environment tailored just for them. At the same time, they can support British designers who showcase the best of British craftsmanship – such as Private White VC, Coeur, and Foxhunt Menswear, all of whom preserve local skills. "The pace of change in retail is increasing and technology plays a critical role in the engagement of customers. Only by continuing to experiment with new offers will brands and retailers be able to survive, and The Dandy Lab is a great opportunity for all involved." – Dr. Alastair Moore, UCL. Sponsored by notable partners including UCL, CISCO and We Are Pop Up, the team is collaborating with leading-edge technologists to develop bespoke software to enhance the shopping journey. From the moment a customer enters and logs into the store, they will begin their personal experience. A range of lifestyle products will talk to them as they browse, narrating stories to bring the customer closer to the maker. The store will launch in Central London, December 2014, with more than 40 brands ranging from menswear, footwear and grooming to lifestyle accessories. There will also be a variety of technology start-ups showcased from some of the city’s tech incubators to take innovation to the maximum. To read more about The Dandy Lab and to pledge, go to The Dandy Lab Kickstarter page.